In the event of an uncontrolled wildland fire that is within our town limits or within three miles of our town limits, we may institute voluntary or mandatory evacuation orders. Residents and visitors in Mountain Village shall be notified that a wildland fire is present in the area. Evacuation is neither recommended nor mandatory. Residents and visitors in Mountain Village shall be notified that a danger from a wildland fire is possible. Evacuation is encouraged, but not mandatory. Residents and visitors in Mountain Village shall be notified that a wildfire is present and threat to human life or damage to structures is real and imminent. Evacuation is mandatory. If evacuation from the town is possible and safe, evacuees will be instructed to leave the town by a prescribed route. If evacuation from the town is not possible or safe, evacuees will be instructed to go to a safe area. All identified locations have either natural or man-made protection from a wildland fire. Please review associated town maps to understand the locale of the landmarks listed below. The fifth, tenth or eleventh fairway on the Telluride Golf Course. This area is bordered by Adams Rand Road, Russell Drive, and Double Eagle Drive – all barriers to encroaching fire. This area is also served by a water sprinkler system. [All available town field staff shall be mobilized to make notifications to residents and visitors. Evacuees will be instructed as per the sections above. The Mountain Village Police Department shall be in command of any notification and/or evacuation plans activated. Notification to residents and visitors shall be made using a grid pattern to ensure that no person or occupied structure fails to receive notification of a wildland fire. To assist with evacuation notifications, Emergency Alert Systems will be activated, which includes the CODE RED Community Notification System and Mountain Village Cable EAS. The local radio station, KOTO-FM, shall be notified of any activated evacuation procedures. 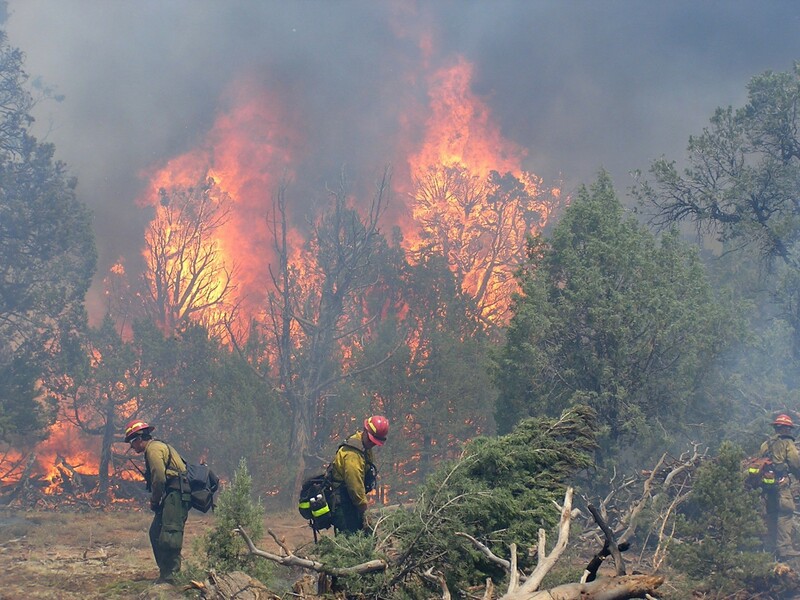 For additional information regarding wildland fire emergency operation plans, visit the San Miguel County Wildfire Webpage.